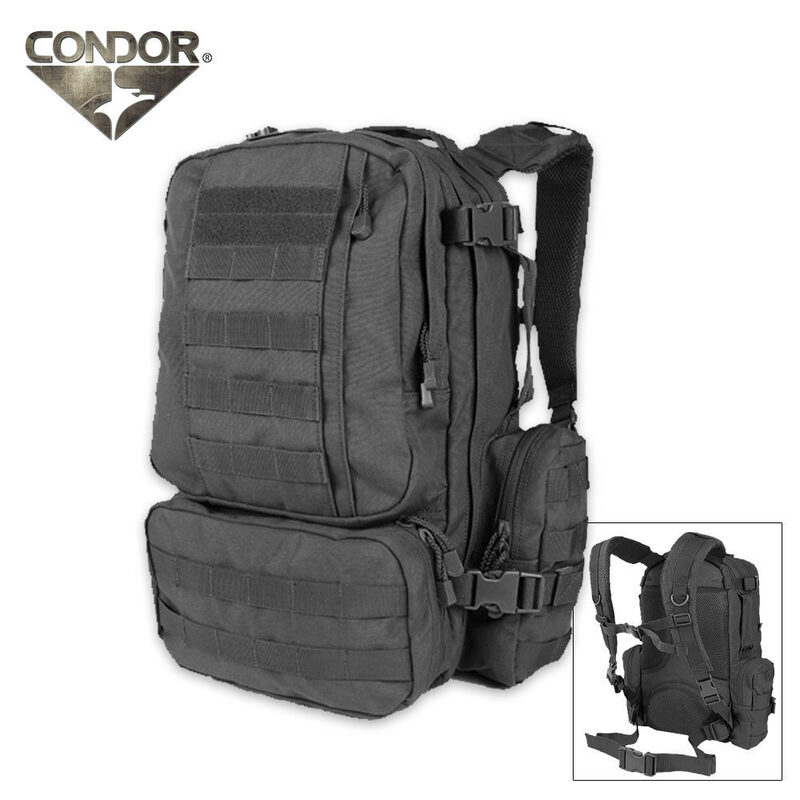 Condor Convoy Outdoor Backpack | BUDK.com - Knives & Swords At The Lowest Prices! Condor's new Convoy Outdoor Backpack is inspired by the best-selling Condor 3-Day Assault Pack, but on a slightly scaled-down version to make it more compact and easily portable. Sometimes more really is less, and that's true for this backpack. It provides five compartments for superb organization of all your essentials. The heavyweight construction will withstand the test of time, and the multitude of straps and zippers provides tons of convenience.